As we know, our ancestors regularly consume fermented foods. They ate this food because of the numerous health and nutritional benefits. In Central Europe, the fermented cabbage known as Sauerkraut has been used hundreds of years ago. This cabbage is one of the best methods of preparing food, and that’s fermentation. And thus it represents an exciting source of nutrients. 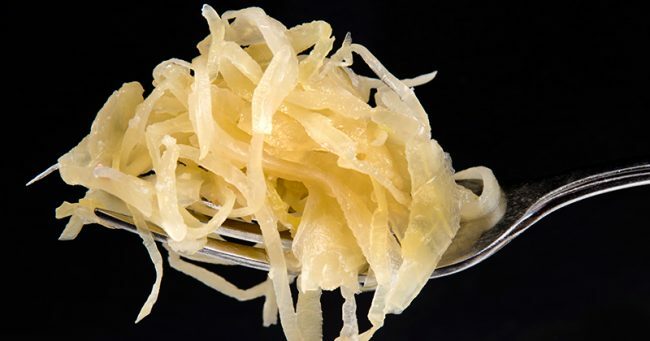 In addition, the Integrative Medicine Institute located in Germany in the city of Viten has proven that Sauerkraut is one of the oldest ways of conserving food. On the other hand it is a super source of vitamins C and B, and other nutrients that our body needs. Ancient technique of food fermentation implies changing the chemical composition of the food itself. As with kefir and yogurt, fermentation of the cabbage produces numerous useful probiotics that contribute to better immunity, better endocrine function and better digestion. This process of preparation is called lacto-fermentation, and represents an excellent source of enzymes that are necessary for the absorption of nutrients and the digestion of food. Sauerkraut (cabbage) that can be found in the markets does not have all the nutritional benefits, because it is treated and pasteurized with numerous chemicals. As first, outer leaves of fresh cabbage should be removed. In a large bowl, mix well the cabbage with sea salt and leave it for 15 minutes to stand still. Then, in a large container, pound down until the juice of the cabbage turns out. Then, using a bowl, cover the cabbage and place a heavy jar filled with water on it to press. With pressing, drain the water out of it. It should be stored at room temperature, in a dry, dark place and covered with a lid. Fermentation process will take from 20 to 30 days. And also, once the fermentation is complete, add the Sauerkraut to your fridge.